On March 25th 2012, eleven students and five teachers travelled to Zambia to see the projects being carried out by the Christian Brothers in Zambia, particularly in the Mufulira area. One main project that is underway at the moment is the WaSH programme (Water, Sanitation and Hygiene). The main aim is to connect local villages to clean, safe, water supplies. Over the past twelve months the Immersion Project Team have raised very significant funds through a number of different events kicking off at the National Sheep Shearing contest at Cillín Hill in June 2011. The two weeks in Mufulira exposed the travelling students and staff to the hardships faced daily by the people of the village. The arduous, selfless work carried out by the Christian Brothers made a lasting impression on the travellers. On their return, they made presentations to staff and the student body, describing their experience, and emphasising the need for continued support for the brothers there. where hard-working people can learn the skills they need to make a living for themselves." -Br. Dermot Ambrose, Director of Murundu Development Centre, where local students are taught a trade. With money raised in Ireland, the Christian Brothers have developed a number of ways of helping the people of Mufulira and the surrounding area to prosper through hard work, improve their quality of life and become healthier and self-sufficient. What’s the ‘Immersion’ Project all about? The CBS Zambia Immersion Project was initiated by among others Brother Michael O’Donoghue, former Principal, close friend and associate of our school. In the past you may remember many non-uniform days and other fundraising activities in aid of Brother O’Donoghue’s endeavours in Zambia. These have resulted in many thousands of euro being contributed by the generous pupils, parents and staff of our school here in CBS Kilkenny. 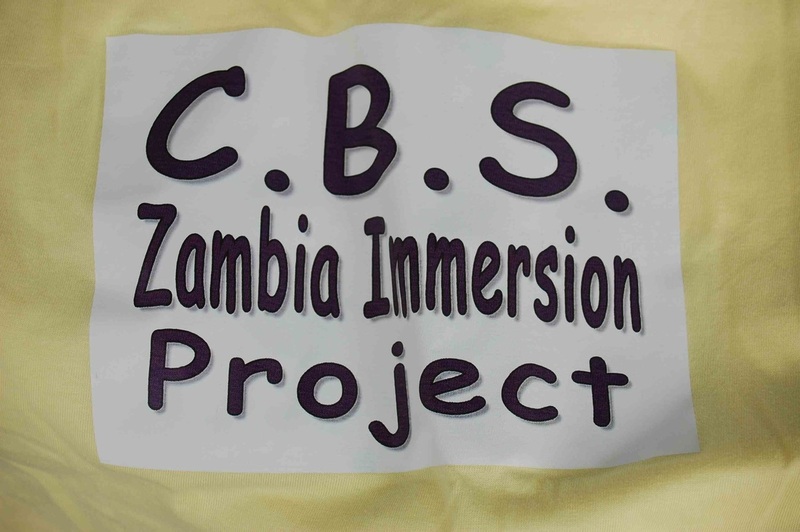 In conjunction with, and in order to mark our 150th celebrations in a very special way, we, a proud CBS school continuing the Christian traditions begun by Blessed Edmund Rice, will undertake the Zambian Immersion Project in 2012. By immersing themselves in Zambian culture and way of life the boys and their teachers, and ultimately our whole school, will learn to appreciate Christian values while at the same time improving the lives of the Zambian people of Murundu in a practical way. Edmund Rice Village: 45 houses for the elderly poor of Murundu. Many of the people who are given these houses are grandparents struggling to look after their grandchildren, where the middle generation has been cut out by AIDS. Houses for Medics in Murundu Clinic: By building comfortable permanent homes for Medical staff next to the Clinic, the Brothers are trying to set up a lasting 24hr medical service for the community. Feeding Programme for the Poor: 200 destitute families in Murundu are given food once per month by the Brothers. Typically these are elderly people who either live alone or are raising their grandchildren as mentioned above. The package includes basics such as mealie meal (like porridge), sugar, salt, beans, cooking oil and a bar of soap. The purchase of a second-hand Ford Tractor: Always in high demand, it is available to plough both the horticulture workshop plots and the larger Tipperary plots, as well as being available for other duties such as towing the water tank or other loads, for example bringing bricks from the brick-making site to Edmund Rice village, now almost completed. Agricultural Project and the Tipperary Plots: In the agriculture workshop, students are trained to take charge of a plot and grow their own vegetables. 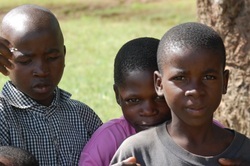 The Brothers cover the cost of seeds, water, fertiliser, tools and tuition. In addition, the Brothers have converted an extra 60 acres of bush into good farmland, (named "The Tipperary Plots" in honour of generous donations from Thurles CBS) to help agriculture workshop graduates become self-sufficient, profit-making farmers. All this farmland is served by the tractor and its full-time driver, Richard. The purchase of a Brick-Making Machine: Producing up to 1500 bricks per day, this is an invaluable resource for local development. Murundu Development Centre: There are 5 workshops here, where locals are taught one of the following trades: Carpentry, Metalwork, Sewing / Embroidery, Agriculture / Horticulture and Building. With the qualification gained after two years' training, graduates are well equipped to find stable employment. While 8 pupils and 4 teachers will actually represent us in Zambia, this is a whole school project involving pupils, staff, parents, Parents Council, Student Council, Board of Management and others associated with our school. This endeavour will require serious commitment on everyone's part. We will have to consider many forms of fundraising but we trust that these too will be enjoyable, character building and a very worthwhile experience for all concerned. We are aware that Ireland is in the throes of a serious recession but in these difficult times we must also consider the plight of others whose situation is far more difficult. Indeed Ireland, in very poor circumstances in the past has been world renowned for its giving to charity and its Christian concern for the well being of others. These are qualities that we, as a school, wish to promote and foster in our young men and, in doing so, the legacy of Edmund Rice will be celebrated again 150 years hence. We as a school see the fundraising involved not as a challenge but as a focused opportunity to further develop the Christian spirit that already exists in our school. Fundraising will be viewed as part of the process of the Immersion Project. The involvement of such a wide variety of people in such a varied number of ways will undoubtedly enhance the goodwill and Christian community spirit within our school. There is no upper limit on the amount of money we wish to raise for this project! Other schools in the past have embarked upon bag packing days, design and sale of CBS Christmas cards, calendars, Christmas raffles, charity walks up various mountains etc. followed by food and entertainment – the possibilities are endless. We have no doubt that we, as a school community, can come up with many novel, worthwhile and enjoyable fundraising activities. It is imperative that we understand that the money we do manage to raise will benefit the people of Zambia but the process of raising it will benefit us as a school community both now and far into the future. Fundraising will begin in earnest on our return to school in August 2011. For those pupils who will be offered the opportunity to represent our school community in Zambia the process begins now. 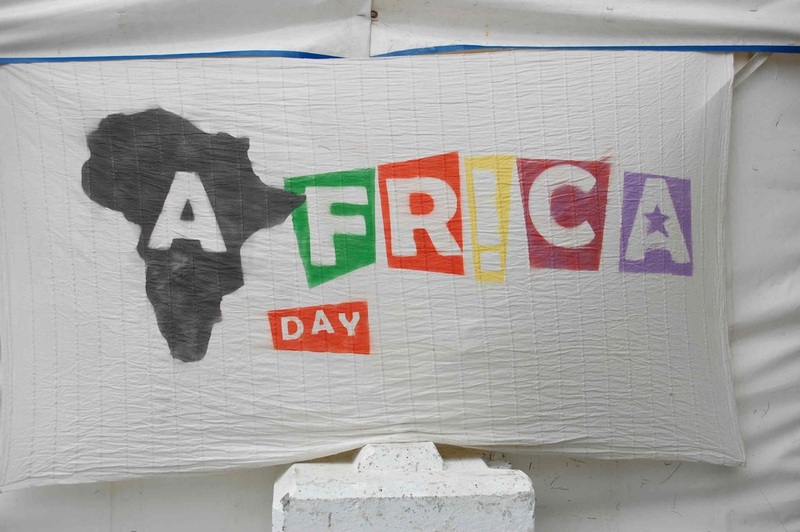 C - How his endeavour raised awareness of the Zambian Immersion Project in his own area. Finally, following a process of short listing, the remaining students will present for interview as the final aspect of the selection process. Good luck to all our applicants!